St. Trifon's Day (Day of the grower) is a Bulgarian national holiday in honor of St. Tryphon. 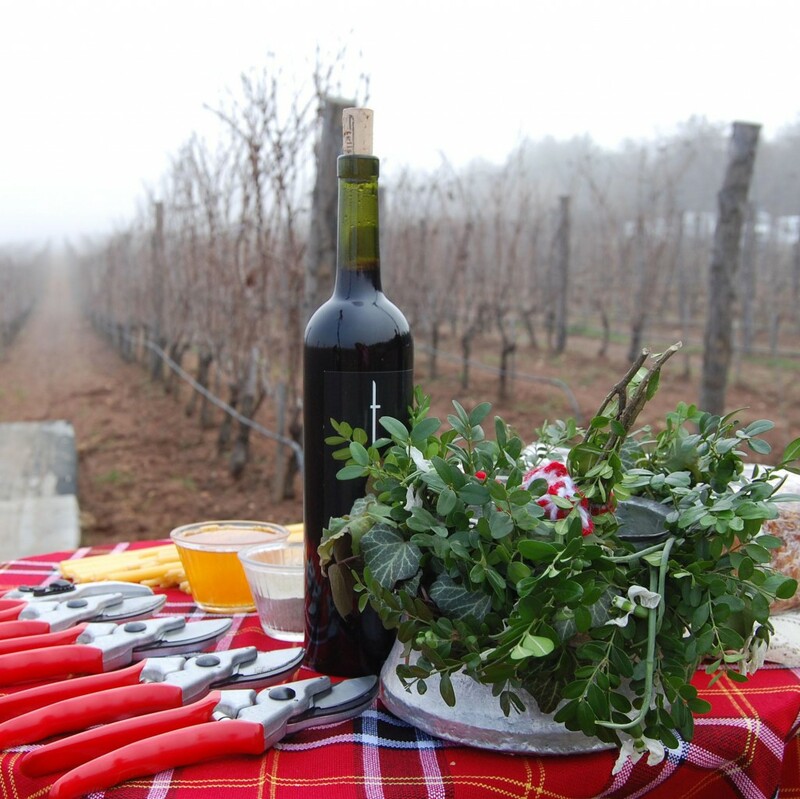 Celebrate it winegrowers, falconers, gardeners and tavern-keepers on February 1 or February 14 (old style). The holiday is also called Zarezanovden, Trifun Chippy, Trifun Zarezoy, Trifun drunk. Name Day celebrate Trifon, Racho, Lausanne, Lausanne, vineyard, grapes, Grozdio grapes. St. Trifon is a martyr, who in 248 AD. Hr. He was slain with the sword. Born in the town. Apamiya, Phrygia in Asia Minor, he comes from an area which is considered one of the homeland of vine and wine. Only 17-year-old daughter heal the Roman Emperor Gordian and it gained great fame. But the heir to the Gordian - Dekina Trajan, proved irreconcilable enemy of Christian doctrine. He put on trial all the Christians celebrated after refusing to renounce their faith die as martyrs incl. and St. Tryphon. 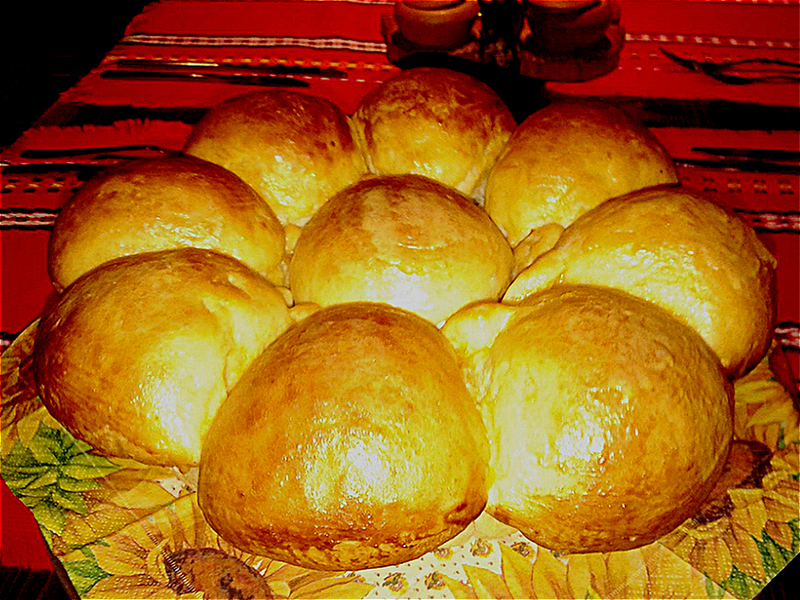 On this day the custom is to knead bread - unleavened or leavened, be boiled hen, which is traditionally filled with rice or bulgur. Early in the morning sponkata home becomes to prepare fresh bread. Sift the flour to stay only the purest of it. Then you should even be referred by him to knead dough, adding 2 cups lukewarm water. The dough is kneaded until it forms pores. Then make a cake baked in a well-preheated oven. When the bread is ready, cover with cotton cloth, not dry peel it. Boil chicken and which is toasting sadzhak. In a new woolen bag put the loaf, chicken and a wine vessel. With such shoulder bags men go into the vineyard. There is renamed, into pruning-knives and three hubs each cut three sticks. Then again renamed and pour wine had brought vines. This ritual is called "trimming". Then all gather and choose the "king of the vines". Only then begins a total feast. "King" is festooned with garland of vine that bears on his head and another garland over his shoulders. It sits on a cart. Winegrowers draw the cart and the sounds of bagpipes and drums rebecs head to the village or town. There stop at each house. Hostess brings out wine in white boiler gives first king to drink, and then draws people from his entourage. The wine left in the pot is thrown over the king, pronouncing the blessing: "Come on, let's prosperity! Switching thresholds! ". King meets blessings with "Amen." When arriving at his home, the king changes his clothes and wearing the wreaths on his head and shoulders, he sits at a long table to meet people from the village. Therefore king of this holiday is selected wealthy man. The next two days, called in folklore "trifuntsi" honor for protection from wolves. Women do not cut with scissors to not dissolve the mouth of the wolf, not knit, do not sew. Prepare ritual bread and having dealt his neighbors put morsels of bread in the milk of animals - to protect both cattle and people from wolves.